The user profile has all information associated with your account on Zakeke. In order to access to your profile section and to see or change data, click on User profile into sidebar. 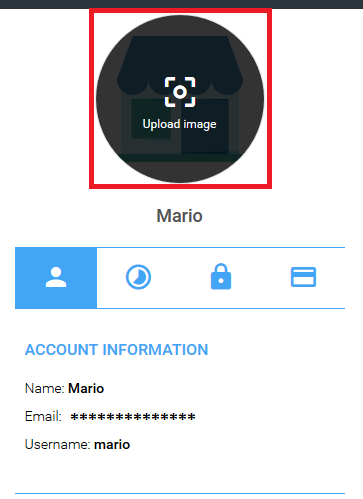 The window that opens lets you see your user information like name, email and username and allows you to upload a profile image of your brand / logo. The images must be saved in PNG, GIF (not animated), BMP and JPEG files with a maximum size of 5 MB. From here it's also possible to set the timezone used by Zakeke to show you all times and dates according to the schedule more suited to you. 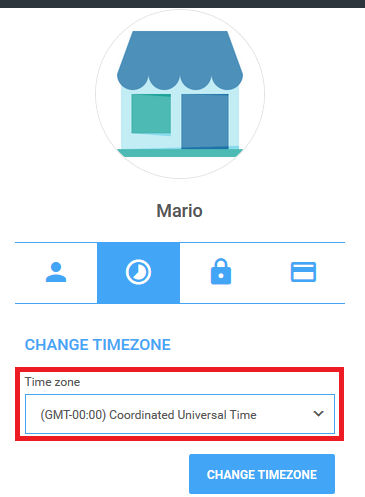 When you register to Zakeke the system automatically recognise your most suited timezone, but you're always free to change it into this section. 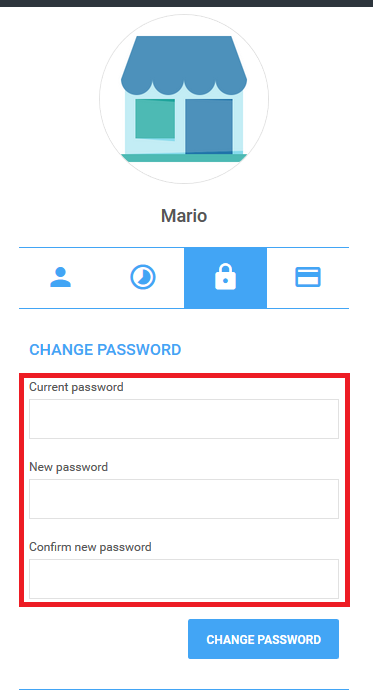 Besides, you can change your access password to Zakeke by confirming your current password and by inserting twice your new one. By clicking on the following icon - credit card - you can access to your subscription and billings information. For this section, see the specific guide. If you want to quit from Zakeke, you can logout by pressing on the Logout button into the sidebar. What are the resolutions that I can use for my profile image? Whatever you want: Zakeke supports all resolutions you like for your profile image. The system automatically adapts the image to make it square. The only limit is actually the size of image, limited at 5 MB. Can I insert an animated GIF? No: it's not possible to insert an animated GIF. The images must be saved in PNG, GIF (not animated), BMP and JPEG files.